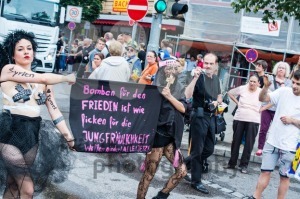 Categories: Editorial, Events, Female, Germany, Male, People, Stuttgart. Stuttgart, Germany – July 25, 2015: A handsome man dressed as woman is presenting the motto of the Christopher Street Day 2015 in Stuttgart: Acceptance is the daughter of Liberty. 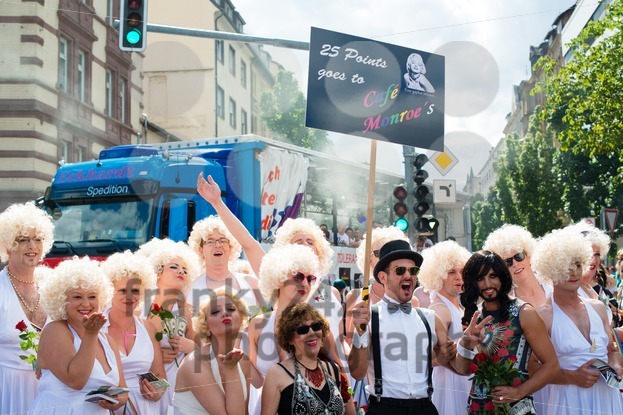 The Christopher Street Day in Stuttgart is the largest gay and lesbian pride in southern Germany, attracting more than 200.000 people.